Wow! Check out this AMAZING review for Curse of the Ice Dragon. I’m thrilled! Dragons. Humans have a love-hate relationship with these fantasy creatures. My first tutor on the subject of dragons was C. S. Lewis, whose depiction of dragonish attributes in Voyage of the Dawn Treader assumed children of his time would know that dragons were greedy and hoarded gold. I had not known this previously, so my education obviously had been lacking. My later reading of The Hobbit confirmed this general idea. However, my ideas were being tainted by the glorious telepathic dragons of Anne McCaffery in her Dragonriders of Pern Series. The amazing dragons of Ms. McCaffery were a far cry from the greedy, evil creatures that bold knights would slay. Sir Terry modified my ideas about dragons still further, for on the Discworld, dragons are endangered creatures, as tame as pets. The point is that I am open-minded on the subject of dragons. Congrats to YA fantasy author Julia Crane, for her beautiful covers by Eden Crane Design. 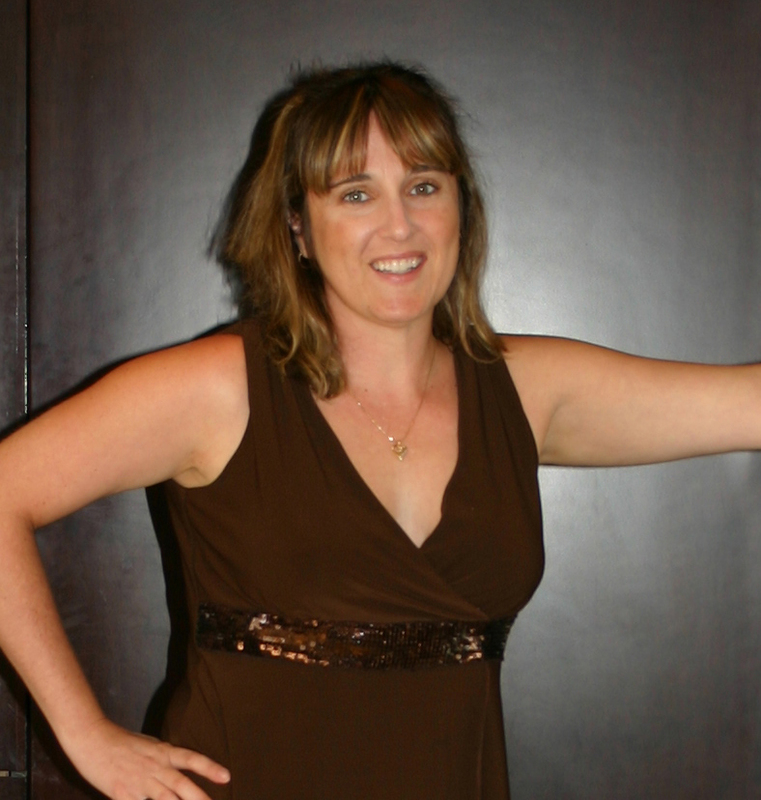 Julia’s books are available on Amazon, iTunes, Barnes and Noble and other retailers. To check out Julia’s books on Amazon, go here. Sixteen-year-old Keegan is struggling to keep her huge secret from her friends—she’s an elf, descended from a long line of elves that live in secrecy alongside humans. In elfin society, mates are predetermined but not allowed to meet until they are eighteen. Against tradition, Keegan’s brother Thaddeus told her Rourk’s name because his visions warned him she’d need Rourk’s protection, especially since Keegan will play a key role in the coming war between the dark and light elves. 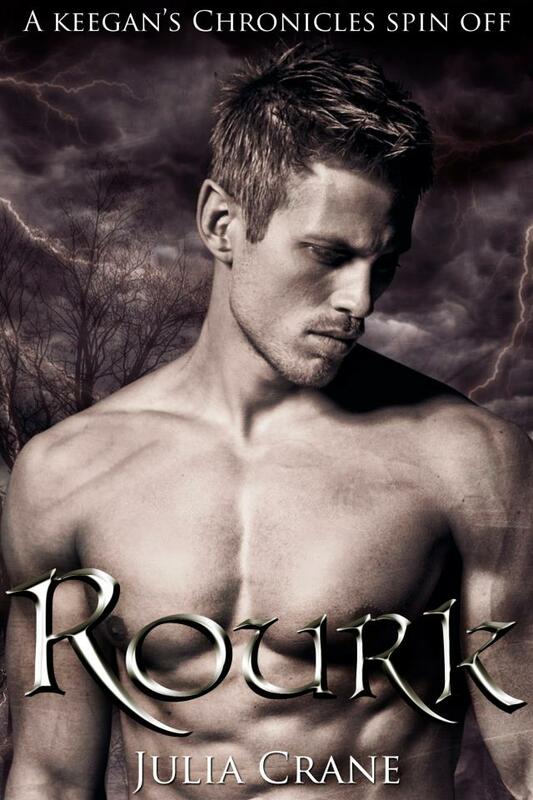 Rourk finds himself drawn to Keegan’s side every time she thinks his name. He wants to talk to her but remains in the shadows, silently guarding her every time she mentally beckons him. A twist of fate thrusts the two of them together when Rourk is forced to step up his protection and make his presence known. 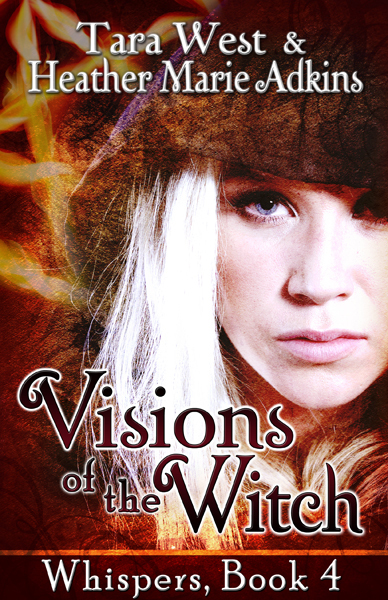 An ancient prophecy deeply entwines Keegan’s family and the future of their society. Somehow they must find a way to thwart fate and win the battle…without losing Keegan. With war brewing, and dark forces aligning, will Keegan and Rourk ever have the life together that they both desire? In the Elfin world, magic and destiny determine who will be together. 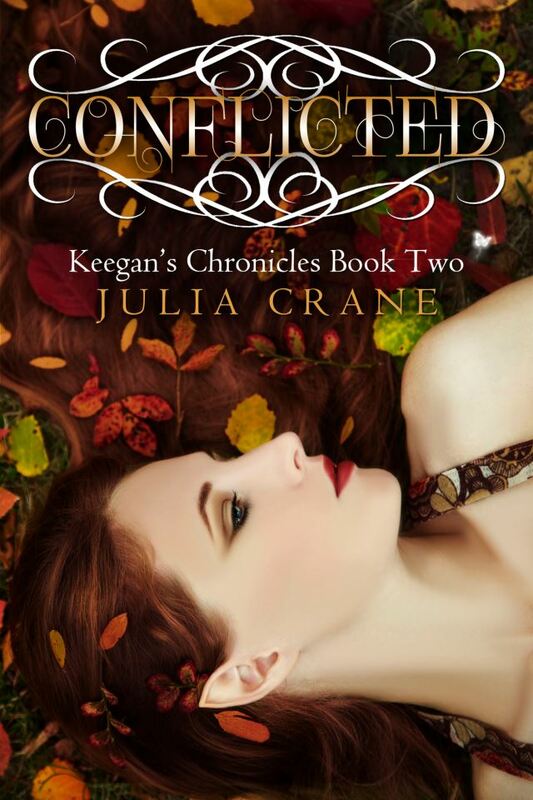 “Chosen” pairs are fated to meet at the age of 18.Keegan, however, is an anomaly. Having fallen in the battle between the Light and the Dark, she is only alive now due to Black Magic, and her bond with her Chosen is broken. She cannot remember Rourk at all.For the first time, she feels like a normal teenager. She is dating Donald, her long-time crush, and everything seems perfect. But Rourk still feels their bond, and despairs for the woman he was always meant to love.Keegan’s best friend Anna is determined to find a way to use her powers to return Keegan’s bond, no matter what it takes. The question is does Keegan even want it? And last but not least, a YUMMY cover reveal! Julia Crane’s newest YA fantasy soon to be released. 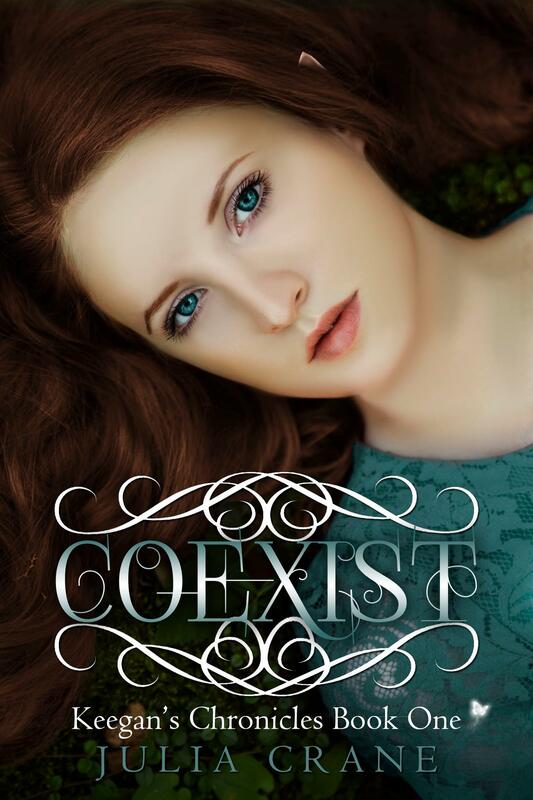 Categories: books, cover art, news | Tags: Coexist, Conflicted, Consumed, Eden Crane Designes, Julia Crane, Keegan's Chronicles, tara west | Permalink. Cover art by Christine DeMaio-Rice. Every so often I’ll read a book that is so engrossing, it forces me to neglect EVERYTHING until I finish. Cruxim by Karin Cox is definitely one of those books. Before reading Cruxim, I thought it would be another paranormal vampire novel. I couldn’t have been more wrong. When I first began reading Amedeo’s story, I was intrigued by the mystery and drama surrounding this winged creature who feasts on vampires. Yes, vampires. These vampires are not the heroes. They do not sparkle and are definitely not cool. They are evil, bloodsucking plagues, and it’s Cruxim’s job to rid the earth of them. And then there’s Sabine, the Sphinx, whose job is also to feast on vampires. Cruxim’s and Sabine’s relationship is complicated. There’s definitely sexual tension, as they explore the idea of forbidden love. Then add Joslyn to the love triangle. 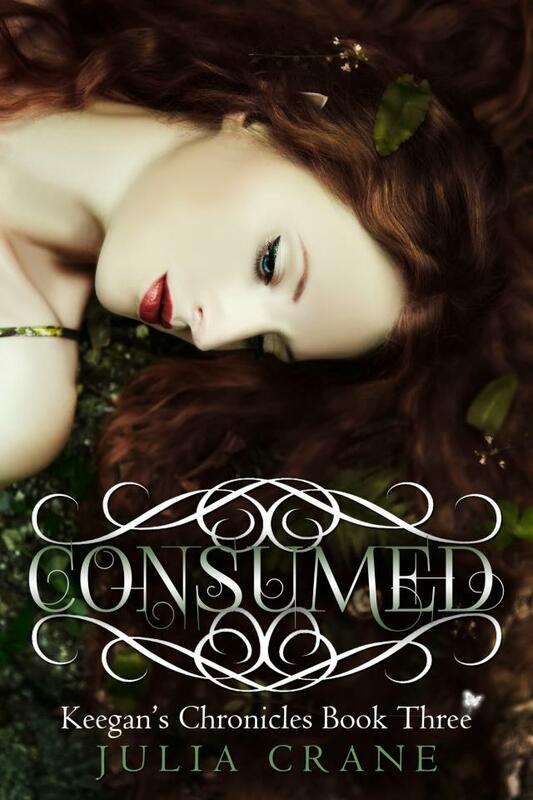 She’s a girl Amedo once loved who had been unwittingly turned into a vampire. Their paths cross more than once, and often times their lives are mired in personal tragedy and strife, as Amedo and Sabine are being hunted by an evil scientist. I thought the blend of paranormal and mythology brilliant. The grammar flawless. The prose, poetic. If I could give this book a higher rating, I would. It is simply the most intriguing and original paranormal I’ve ever read. Some of the gruesome scenes in this book may be too disturbing and graphic for my younger readers, but I think my 18+ fans will definitely love it. To read Cruxim on Kindle, click HERE. Categories: books, news | Tags: book review, Christine DeMaio Rice, cruxim, karin cox, kindle book, paranormal fantasy, tara west | Permalink.